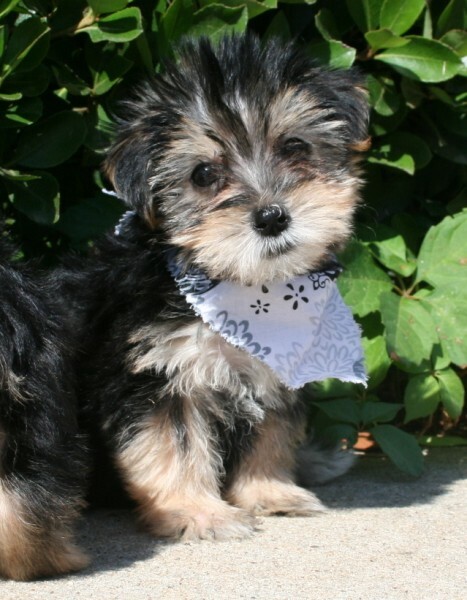 If you have a testimonial about one of our puppies or our grooming services...we would love to hear it! Just submit on the form below...and THANKS! WE ARE SO IN LOVE WITH DAISY MAE...WHAT A WONDERFUL, HAPPY WELL ADJUSTED BABY SHE IS. AFTER ALL THE YEARS I HAVE HAD MINI DACHSHUNDS....I NOW HAVE FOUND THE PERFECT ONE! SHE HAS SETTLED INTO OUR HOUSEHOLD LIKE AN OLD SHOE. PUPPIES. I WILL RECOMMEND YOU TO EVERYONE ONE WHO IS LOOKING FOR A PUPPY AND CANNOT THANK YOU ENOUGH FOR DAISY. Rebecca was fantastic to work with! I live in NM. Benson the bichon came to us in November 2010, and he is amazing!! He has made us the happiest Momma and Daddy ever! His personality is amazing! He is quite the entertainer not only to us, but to our friends and even the kids in the neighborhood! Everyone is so impressed by him! Thank you Rebecca for our adorable little boy! Eventually, Benson will need a playmate and the first place we are looking is Bebo and Company!! I just wanted to take the time to send an email to comment on Emily (who works for you) and Mackie (the morkie we bought last night). First we are extremely happy with Mackie. It was pure luck finding him because we have been looking for toy Schnauzers, then recently started thinking about getting a Westie. It was looking for a Westie which lead us to your website where we found Mackie. I think my wife, daughter and I knew he was the pup we wanted as soon as we saw him. That is where Emily came in. I called at about 6:15 pm last night not really expecting anyone to be there that late but hoping. Low and behold Emily answered the phone she was as nice as a person I have talked to at a place of business in a long time. I asked her multiple questions about Mackie, Morkie's and Westie which she answered every one with out hesitation and never mentioned you guys closed at 6pm. After nearly 20-25 minutes of asking questions I knew Mackie was the puppy we wanted. I asked about putting a deposit down to make sure we were able to get Mackie. She went extremely out of her way and offered to wait on us if we wanted to come get him tonight(last night). Seeing how we live in Swarts, La which is on the other side of Monroe it would take us nearly 45 minutes to an hour to get there and by this time it was 6:45. Emily again didn't hesitate and told me she would meet me when we got there as she lived pretty close. We drove over as soon as we hung up, met with Emily and picked up Mackie. After another round of questions for Emily we were gone about 8:15 or so. Emily was awesome she went completely out of her way to meet us and was way above and beyond in answering all our questions. I wanted to say THANK YOU for allowing us to purchase Mackie and let you know you have an excellent person working for you. Just wanted to say how much we love little Jake, it was so worth the wait. He has the sweetest personality and blends right in with Harley. Thanks again for our little baby boy! Great puppy and breeder. Our puppy is beautiful, and lively and energetic. She has a great personality, well socialized with people and other dogs, and affectionate. Our vet gave our little girl a perfect bill of health. My name is Sherry I live in VA. My husband and I were very leary about purchasing a puppy off of the internet simply because you just don't Know if you will get what you paid for. Becca communicated with us often via phone and internet we felt very comfortable with her so we made the purchase let me tell you............. We now have the most beautiful, sweetist, loving Shih Tzu in the world! She is only 3 months old and has learned Many tricks she is Very Smart and learns very quickly. "We Absoutely Adore her". She is perfect for our Family. She is healthy, playful very active and oh, so sweet and loving. Thank You Becca for enriching our lives with this little bundle of joy. I would 100% recommend Rebecca Huff. I live in Colorado and Ms. Huff made sure that my puppy arrived to me safe and VERY healthy. I have the best dog in the world and have her to "thank". What a GREAT breeder that takes great care of her puppies.